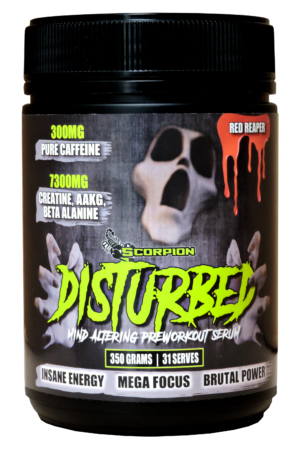 If you’re aiming for peak performance and in need of nutritional support look no further because the Scorpion Triple Stack is a one stop, muscle building stack, that will help you achieve the physique or figure of your dreams! The Scorpion Triple Stack features three Scorpion products that will help you boost recovery, build lean muscle and increase strength and power output! Scorpion Whey Protein Concentrate (WPC) is a super effective lean muscle building protein which is specifically designed for individuals who are aiming to maximise recovery and develop a lean, tight and toned physique or a shredded-muscular look! Derived from NZ grass fed cows (the world’s gold standard), Scorpion WPC has a very high protein percentage (80% vanilla) which will provide a full spectrum of amino acids to aid with the growth of lean muscle and help to accelerate recovery from those grueling training sessions! To further enhance recovery and lean muscle growth, Scorpion WPC is naturally rich in BCAA’s and Glutamine! These proteins are the building blocks of lean tissue! 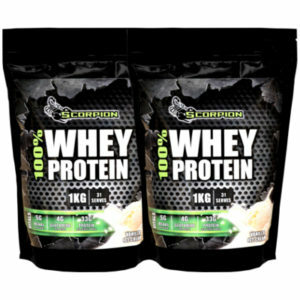 Scorpion 100% Whey Protein has an exceptional biological value and is therefore metabolised very rapidly upon ingestion to further aid with recovery! To be ingested pre and post training and in-between meals on non-training days, Scorpion 100% Whey is blended into fifteen OUT OF THIS WORLD flavours, that will provide your body with the ultimate recovery source to help you discover your ultimate body! Scorpion Pure Micronized Creatine Monohydrate is high quality with NO fillers or additives. 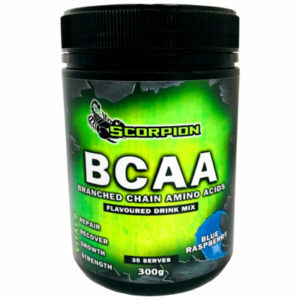 Scorpion Creatine is an ultra fine 200 mesh particles for maximum absorption & effectiveness. Creatine Monohydrate is regarded as the most effective sports supplement ever developed and is ideal for athletes of all sporting codes to help boost performance and aid with strength/power! Creatine recycles ATP, the body’s energy source, to supply your muscles with sustained intra-muscular fuel for anaerobic training. Creatine assists on every level: Muscle growth, strength, endurance and may improve recovery! Scorpion Creatine Monohydrate is suitable for both males and females! 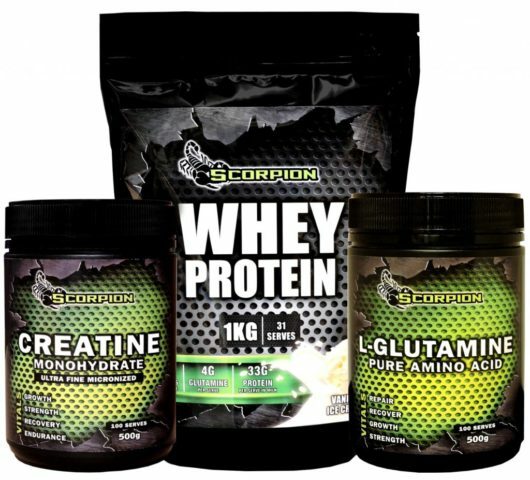 Scorpion L-Glutamine is pure, premium quality with no fillers or additives! L-Glutamine is a popular amino acid used by athletes and gym goers to help improve muscle recovery by helping to repair muscle tissue after intense physical activity! L-Glutamine is the most beneficial and abundant amino acid in skeletal muscle therefore it is important L-Glutamine stores are frequently replenished to maintain optimal performance. During intense training blocks L-Glutamine can be supplemented with heavily to help support muscle growth and also boost your immune system! Scorpion L-Glutamine is ideal for both males and females participating in sports such as body building, swimming running, cycling, football and any other sport that requires extreme muscle performance!